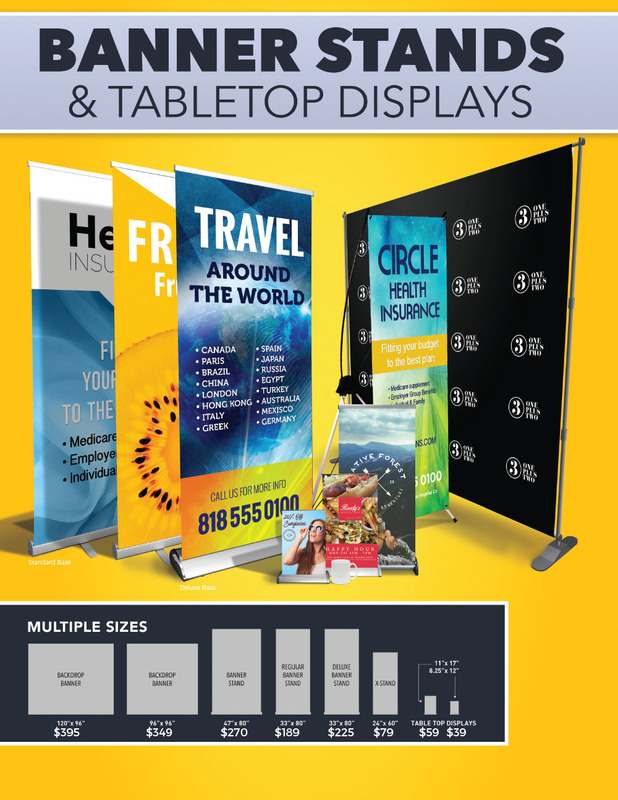 Retractable Banners, or Pop Up Banners come in a variety of sizes and stand styles. The banner itself can be printed on affordable synthetic mylar, or more durable wrinkle free polyester fabric. Choose from a Standard or Deluxe style stand. All Pop-Up banners come with a carrying case, and can be put up or taken down in about 5 seconds. Drop shipping is available so your banner can meet you at the event. Perfect for trade shows, store displays, ACL, SXSW, and other festivals. Contact us today for pricing! Full size Retractable Banners make a big impact and provide a portable, affordable signage solution. Great for events and trade shows! Fabric can be changed out to display different designs. Tabletop Retractable Banners are even more compact and come in a variety of sizes. They are an affordable space saving solution that still packs a visual punch.